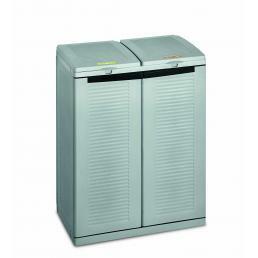 In the Mister Worker™ catalog you can find the complete range of Terry cabinets for recycling, practical and compact containers perfect to keep outside. Find them now and organize your separate collection better! 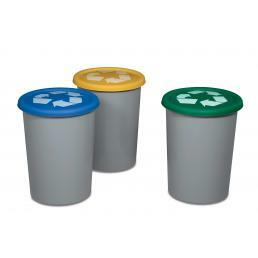 Performing recycling separately is a small step towards reducing the environmental problems afflicting our planet. 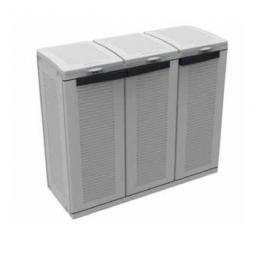 Often, however, on your balcony or in your kitchen you do not have enough space to place all the appropriate bins: that's why Terry created the Ecocab series, made up of practical and compact outdoor resin cabinets designed specifically for separate waste collection, available with two or three doors. 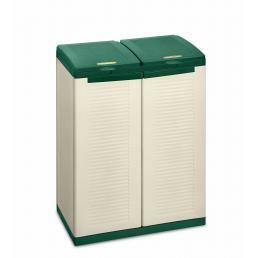 The best selling item in the range is the Terry Eco Cab 2 sand and green colored cabinet: perfect for the garden, as for the balcony, it is a practical two-door shockproof resin cabinet, equipped with two 110-liter luggage compartment compartments. The lid opens and closes securely, and the opening of the leaves up to 180 ° allows you to replace the bags very quickly, easily pulling them out even when they are full. It is ideal for outdoor environments, because it resists rain and wind, but can also be placed in a garage or cellar, as it also withstands moisture. The catalog also includes sets of three Terry collection bins, with a capacity of 29 liters each and a colored lid, to quickly identify where to throw a certain type of material. They are suitable for those with more available space, or to keep in their workshop. Mr. Worker™ cares about environmental problems, and for this reason he decided to include Terry waste collection cabinets in their range, all at a special price.